At young age, Isaac Latu came in contact with music, by his family. As a child, he went to festivals and concerts with his parents, mostly rock music. His love for electronic music started in his puberty, when he was listening to Trance and House cd's from his older sister. He became more interested and begun to experiment with tape decks and a microphone. On his 15th birthday, his mother bought him a cd-deck and a mixer and started practicing and learning the art of mixing, with different styles of music. At the age of 16, Isaac Latu went to parties like Impulz, Innercity and Shockers. The same year, his classmate, introduced him to the world of Techno and his passion for the style was growing by the day and got inspired by artists like Ben Sims, DJ Rush, Umek and Adam Beyer. He saved some money to buy his first turntables and started to collect vinyls from recordshops such as, Groove Connection, MetroRecordstore and Outland Records. The transfer from cd's to vinyl went all naturally. Only a week later, Isaac had his first gig at a local beach party. It became more serious, when he came in contact with other artists, on the internet. In 2006, Isaac Latu joined Reconstruction Bookings, leaded by Spark Taberner and Teknicity. Soon, several organisations, invited him to play in venues like, Club Poema, Maassilo, P60 and Nighttown. Highlights of his career, are gigs at Decibel Outdoor, Q-Base(Germany), Liquid Club(Malta) and Hard-Rock Cafe (Bali/Indonesia). In the past years he tried different styles of Techno, but the main ingredients are still the same. His dj-sets contains percussion grooves, dark synths leaded by strong kicks. 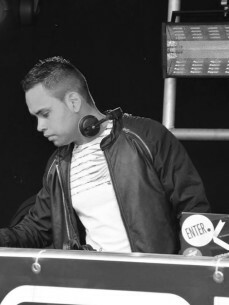 Besides a dj, he's also founder of Spoorloos Events and spend a lot of hours in the studio to create his own music.